Two of the world’s greatest economies, the US and China have locked horns, and this tiff has gone on to culminate into a full-blown trade war. It began when the Trump administration imposed widespread tariffs on $34 billion worth of Chinese goods such as medical equipment, aircraft parts, and television sets. All such goods are now set to attract a whopping 25% border tax when imported to the US. 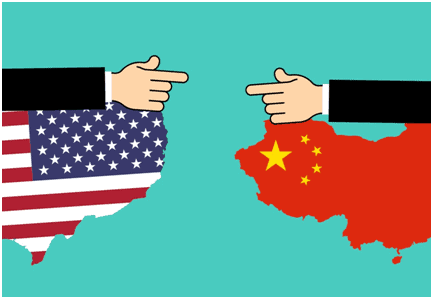 In response, China has accused the US of starting “the largest trade war in economic history to date” and retorted by levying 25% tariff on $34 billion worth of US goods such as soybeans, lobsters, and automobiles. The war is far from over though as more tariffs or border taxes are being levied on an additional $16 billion worth of Chinese goods. Trump may take things further and add another $500 billion worth of Chinese goods in the tariff category. However, the ever-growing demand from the construction industry, along with new constructions, shows that the scaffolding industry is going to be adversely affected by the tariff war. Apart from construction activities, even maintenance activities such as repairs, cleaning, painting, electric and plumbing installations, and more will continue to drive the demand for scaffoldings in the future. However, adequate supply of scaffolds is a major concern. Scaffolding is also an important part of other industries such as ship building, oil and gas industries. These industries would collapse without scaffolding products, which is why manufactures are always churning out new, innovative, lightweight scaffolding meant especially for industrial use. As far as the global scaffold industry is concerned, the US is the biggest importer with the global proportion of imports amounting to $1,453,666,303 whereas China is the biggest exporter, with a global proportion of $3,725,103,148. This data is as per the 2013-2016 trade data from https://comtrade.un.org/. The high tariff of importing scaffolding will be transferred to the end-users. Even if the tariff war results in lowered volumes of shipping scaffolds, the cost of these scaffolds will increase. The tariff and the shipping cost will, in turn, raise the final price of the scaffold. At the same time, the supply of metal scaffolds will decline. As the prices of importing scaffolding will increase, the local scaffold supply in the US will suffer. The price of renting scaffolding will also rise. Scaffold rental companies frequently eliminate used, damaged and unsafe scaffolds and buy new ones. However, because of the price rise, they will probably refrain from making new purchases. This, in turn, may means the supply will not meet the demand. Also, scaffolds are used in construction, renovation and maintenance of buildings and projects. As the price of scaffolds rises, so will the total cost of construction. Further, the duration of finishing the construction work will also increase. For instance, if the supply of scaffolds meets the high demand, the construction work can be finished in time. However, without proper supply, finishing such work will take longer. The quality of scaffolds will take a hit. The rising prices of scaffolds will lead to immense competition in the industry and some manufacturers may succumb to it. To save costs, they might go for cheaper methods of surface treatment and buy scaffolds made from cheaper materials. This will affect the longevity of the scaffolds and put human life in potential danger. Also, with fewer scaffolds being used and a relatively higher number of scaffolders on sites, their income will also plummet. Scaffolding are typically made of materials like wood and bamboo along with aluminum and steel as these add strength to the scaffolding structure. As such, the scaffolding industry comprises parts suppliers, manufacturers, contractors, sub-contractors, and other industries that use scaffolding products. Like every sector, this industry is also highly competitive, and manufacturers are always looking for ways to up their profits. In China, ship-building is a flourishing industry where scaffolding finds unending use. Globally speaking, ship-building orders are expected to catapult from US$34 billion to US$100 billion by 2021, expanding at a CAGR of 24.1%. In ship-building, scaffolding are used in surface protection, engine replacement and welding tasks, among others. Asia Pacific is the biggest ship-building market in the world, with China being the largest ship-building nation. For this reason, global and local scaffolding manufacturers want to increase their market share in this region. It is estimated that the growing demand for ship-building across the world will lead to an increase in the demand for scaffolding products as well. The North American construction equipment industry is influenced by growth in the US construction equipment sales. When it comes to the US market, the share of rental construction equipment has increased from 35% in 2007 to 55% in 2017. The growing demand for construction equipment across the world is, in turn, increasing the demand for scaffolding products. It isn’t uncommon for countries to get into trade wars, which can be resolved by approaching the World Trade Organization, where it is decided who’s right or wrong. Nations can directly negotiate with each other and either arrive at mutually-acceptable deals or impose unilateral tariffs on each other’s goods. If this war escalates, and both countries continually slap increasing tariffs on each other, it culminates into a trade war. The above mentioned effects of the US-China tiff are expected to last for a short term, may be a couple of years. In the long term, however, the US will have to adjust its policies to suit the industrial structure. The demand for steel and scaffolds will need to be met as the scaffold industry will witness a more balanced outcome. However, the total cost of scaffolds is expected to rise as the US lacks competitive advantage in this sector. Regardless of its current position in terms of development, the shortsightedness of its policies disregards common welfare.